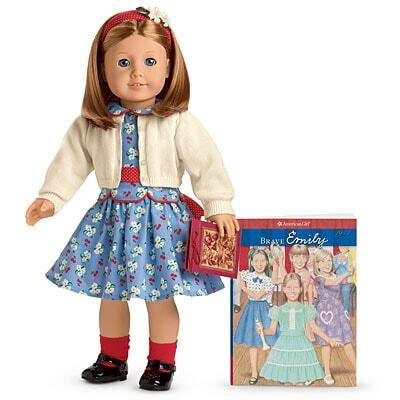 After the overwhelming response to last week’s post on fashion inspired by American Girl doll Felicity, it’s clear that many CF readers remember these childhood favorites! So this week, we’re back with another American Girl doll-inspired post featuring my personal favorite, Molly McIntire. Molly McIntire‘s story was set right in the middle of World War II, and like Felicity, her stories always had a sense of patriotism about them, which is probably why I loved them so much. She was a bit of a troublemaker and didn’t always have the best attitude, but through each story, she learned about what it meant to be selfless, supporting loved ones in the war effort, even if that often meant giving up a few of her luxuries. She also loved to tap dance (remember the Miss Victory costume? ), and always wore the prettiest ribbons in her long, brown, braided hair. Molly’s outfits were appropriately 1940s-ish, featuring lots of sweaters and skater skirts, and of course, her signature Mary Janes. Below, I’ve created a fewoutfits inspired by Molly. Feel free to use them to inspire your own everyday looks! Scroll down to view them all! 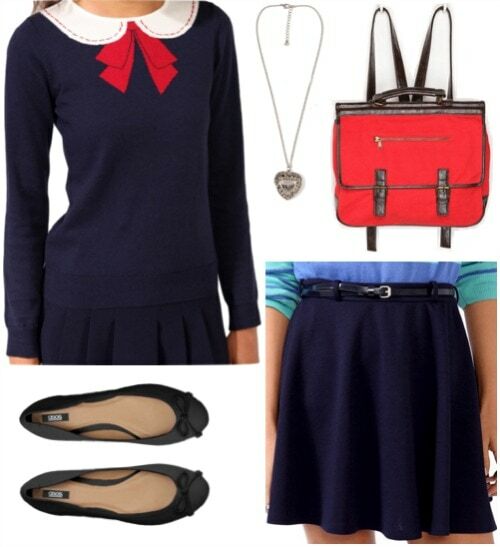 Molly’s signature outfit is an adorable schoolgirl-themed ensemble with a navy sweater and matching skirt. Steal her style with a similar sweater and navy skater skirt, plus a pair of black ballet flats. Grab a vintage-inspired satchel bag just like Molly’s, and wear a heart necklace to get the look of the locket that her dad gave her. For her birthday, Molly had an English tea party, and wore an adorable white dress. Get an inspired look with a white peplum dress and black Mary Jane flats. Belt the dress with a colored skinny belt for a fun accent. Finally, wear a bow in your hair and pearls on your neck to finish off this party-ready look! Get Molly’s Miss Victory look in a red and white star-print jumper over a royal blue striped skirt. Slip on a pair of blue Mary Janes for cuteness and comfort. 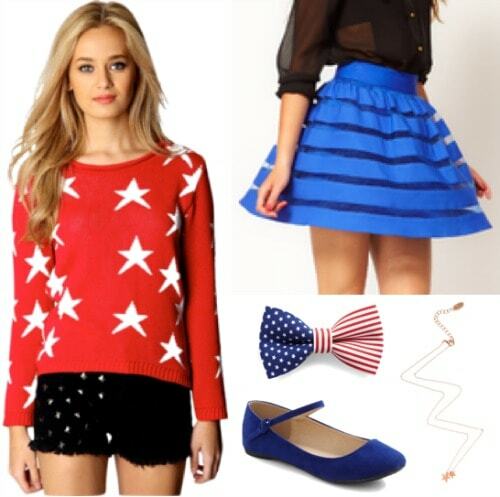 For accessories, wear an American flag bow and a star charm necklace. Molly’s best friend was Emily Bennett, a girl from England who stayed with Molly and her family during the war. Although she was a bit shy at first, Emily and Molly quickly became good friends. Get Emily’s girly British aesthetic with a floral print dress, belted with a skinny red belt, and accented by a pair of t-bar patent leather flats. Wear with a cream cardigan and a red headband to finish off this adorable look! 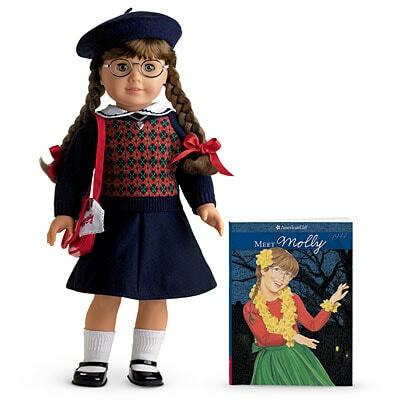 Was Molly your favorite American Girl doll? Would you wear any of the outfits above? Which one is your favorite? 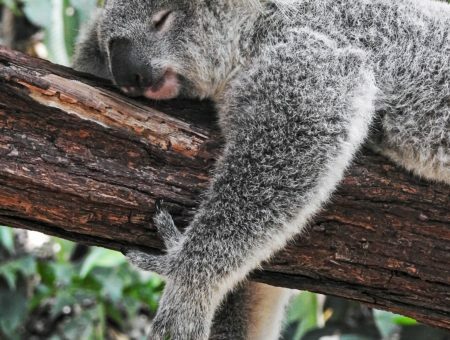 Would you like to see more posts like this one in the future? Let me know in the comments!